MILO with ACTIV-GO has the essential nutrients for every champion’s lunchbox. It provides the delicious and natural goodness of cocoa, milk and malt to help your child stay energized during the day. Pack your kid’s lunchbox with winning energy. Easy to carry, easy to drink, MILO ready-to-drink cartons are the perfect size for children to enjoy the delicious and nourishing energy they need. MILO with ACTIV-GO contains PROTOMALT , Vitamin & Mineral , a unique malt and barley extract. It contains a source of nutrient that play a role in efficient energy release, muscle function and bone maintenance - essential functions for physical activity in children. MILO, the leading nutritious chocolate malt beverage in Malaysia was introduced in 1950 and has been known for its unique taste that Malaysians love. 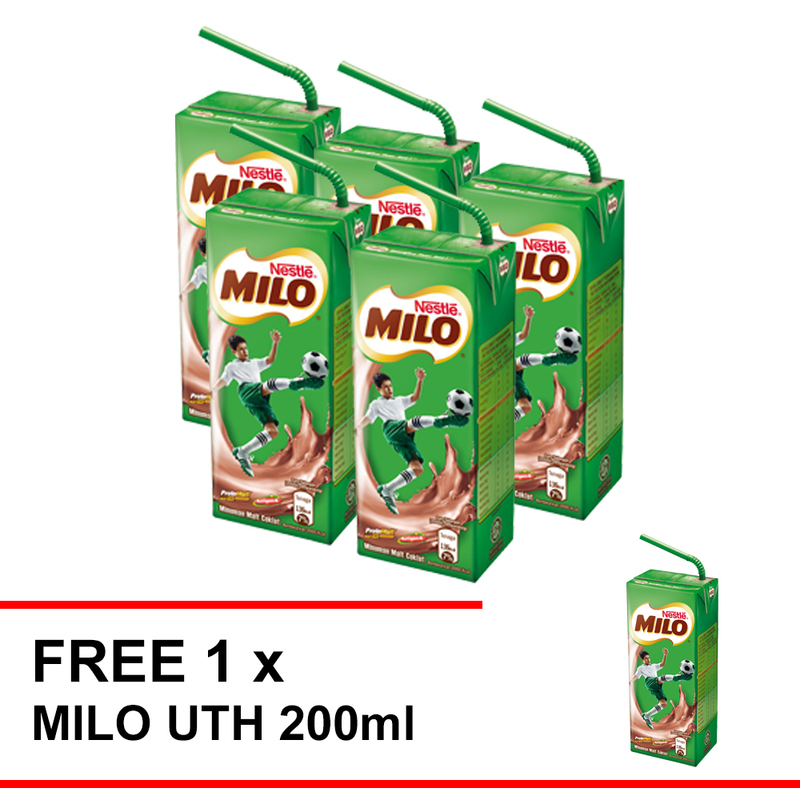 Today, MILO is the most popular beverage in Malaysia and remains relevant as a delicious and nourishing drink for kids to stay active through sports, building the champion spirit among children.